Florida East Coast Industries, Inc. (FECI) recently announced its intention to develop a privately owned, operated and maintained passenger rail service connecting South Florida and Orlando by 2014. If the 240-mile route, which would combine 200 miles of existing track and 40 miles of new, is successful, FECI plans to extend service to Jacksonville and Tampa. What could this mean for Jacksonville? Called "All Aboard Florida," the intercity passenger rail project will include business- and coach- class service with advance purchase reserved seating, gourmet meals, Wi-Fi, and the ability to work productively throughout the entire trip. FECI began a feasibility analysis for the project several months ago. Currently, the company is conducting an investment grade ridership study and engineering work to design the system, planned to be operational by 2014. Exact station locations have not been announced, although the major stops are anticipated to be located in Orlando, West Palm Beach, Fort Lauderdale, and Miami. According to the companys press release, All Aboard Florida" will provide a high-quality experience for passengers, and will be the first privately owned, operated, and maintained passenger rail system in the United States. The "All Aboard Florida" rail system would initially connect Miami and Orlando with hourly train service. If successful, the system could be extended to Jacksonville and Tampa. Is A 2014 Start Date Too Ambitious? Used to public rail start-ups moving at a snail's pace, many believe that having this system operating by 2014 is impossible. However, FECI believes otherwise. 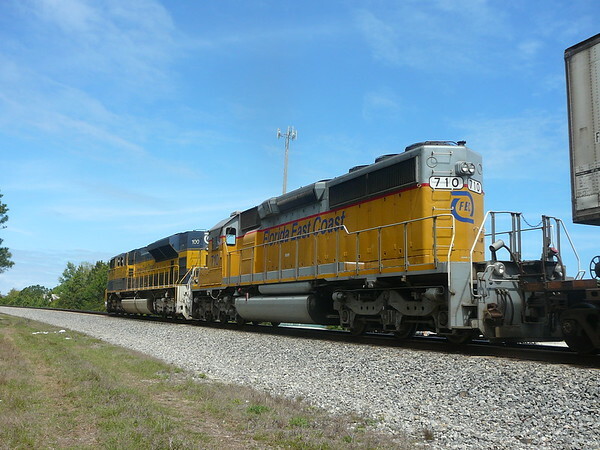 In the event that 40 miles of new track between Orlando and Cocoa is not complete by 2014, the railroad would run on the existing FEC from Miami to Cocoa, and offer temporary connecting service to Orlando. How Fast Will Trains Go? Amtrak currently runs a daily service between Orlando and Miami, but it isn't direct, and takes between five and seven hours. FECI envisions a three-hour trip between the cities at an average speed similar to the Acela between New York and Washington, DC. Trains will likely run at 79 mph from Miami to West Palm Beach, 110 mph from West Palm Beach to Cocoa, and 125 mph on the new segment to Orlando. The initial 240-mile project between Orlando and downtown Miami is expected to cost $1 billion. While this may seem like a lot to many, FECI's parent company, Fortress Investment Group, has $43.7 billion in assets and raised $4.2 billion in capital during 2011. In addition, FECI owns Flagler Development Group, a real estate company that owns 5,000 acres of land in Florida, including 9 acres in downtown Miami that would be used for a new passenger station and transit-oriented development. Will This Negatively Impact the Amtrak/FEC Project? Plans for implementing Amtrak service between Jacksonville and Miami by 2015 are still moving forward. Additional passenger rail should complement Amtrak track with the double tracking of the FEC corridor and shared station facilities. In addition, with the coordination of schedules, both systems should have the ability to feed each other with additional riders. How Frequent Will Trains Travel? Eugene Skoropowski, FECI's recently hired senior vice president of passenger rail development, envisions trains operating on one-hour headways. Skoropowski describes the FECI project as "Capital Corridor East" but with a much bigger market. Before joining FECI, he became well known in the railroad industry for his successful management of California's Capitol Corridor passenger service. The Capitol Corridor is a 168-mile passenger train route operated by Amtrak between the San Francisco Bay Area and Sacramento. Started in 1991, the hybrid intercity/commuter rail service carried over 1.7 million passengers during the fiscal year 2011. A common complaint regarding Florida's defunct High Speed Rail project was that passengers weren't able to get around cities due to a lack of local mass transit offerings. Unlike the High Speed Rail project, FECI's service will directly connect the downtown cores of Florida's populated East Coast cities with one another. In addition, intermodal centers will be initially located in Orlando, West Palm Beach, Fort Lauderdale, and Miami, allowing passengers direct access to Tri-Rail, Sunrail, Metrorail, Metromover, Wave Streetcar, Amtrak, and local bus services. In addition, intermodal centers will provide direct access to Orlando, Fort Lauderdale-Hollywood, West Palm Beach, and Miami International Airports. FECI envisions approximately 6,000 direct jobs will be needed to construct the system and over 1,000 more jobs will be needed to operate and maintain it. In addition, the project will create new transit-oriented economic development opportunities along the entire 240-mile route. Could This Involve More Than Passenger Rail? While much of the media has focused on this project from a passenger rail component, a new FECI alignment between Cocoa and Orlando provides FECI and Norfolk Southern direct freight access into Florida's most rapidly growing metropolitan area. Already owning thousands of acres of land throughout Florida, FECI would stand to financially benefit from industrial activity between Orlando and Port Canaveral. Long term, if the line is extended to Tampa, FECI and the 'Norfolk Southern Thoroughbred' could become a viable freight option in a region with more than seven million residents where CSX is currently the lone horse. Congresswoman Corrine Brown is extremely excited with the announcement of Florida East Coast Railways All Aboard Florida initiative. The Congresswoman is always looking for expanded opportunities for rail service throughout Florida and the nation. I can assure everyone that I will continue to work with the railway to tap any federal resources necessary to make this project a success, said the Congresswoman. FEC and Amtrak still plan to operate their new intercity rail service between Jacksonville and Miami by 2015. The long term plan for the "Flagler Line" was to grow it into a corridor service with frequent trains traveling from Cocoa to Miami, joining those running from Jacksonville to Miami, complementing long-distance intercity service. FECI's proposed privately owned and operated service can complement the Amtrak project in many ways; In terms of capital costs, the double tracking of the FEC corridor to increase the corridor's capacity, (ability to efficiently move passenger and freight trains) should reduce the financial burden on the Amtrak project. In addition, the corridor project's frequency of service will potentially feed Amtrak with more rail passengers between Cocoa and Jacksonville. Long term, assuming this system is successful in its early years, the extension of corridor service into Jacksonville essentially delivers frequent regional rail service between downtown and St. Augustine, services that many believe JTA won't be able to deliver any time soon. For several years, Metro Jacksonville has been a strong local advocate of statewide passenger corridor service on existing rail infrastructure instead of High Speed Rail. We've always felt that such a service would better serve local residents, commuters, and tourists at a significantly cheaper cost than HSR. The announcement of FECI's project validates this belief and if Jacksonville were smart, we'd start aggressively planning and promoting the concept to be extended to our community. 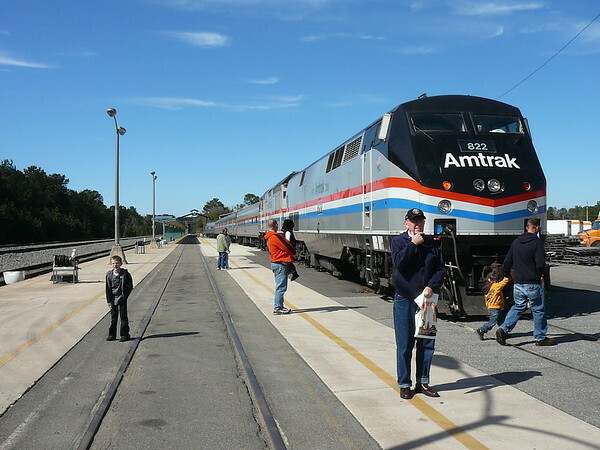 It's very possible that Jacksonville could become a hub for frequent regional passenger corridor service and once again, a passenger rail gateway to Florida before this decade is over. From a local planning standpoint, it means that it's time for Jacksonville's officials and residents to move into the 21st century and plan in advance for the world that continues to change outside of our borders. This includes hiring a competent replacement for JTAs Michael Blaylock, who recently announced his resignation. That replacement should be a candidate who is well versed in the operation and implementation of a multimodal mass transit system. In addition, those seeking to pump life into our morbid downtown should place a higher priority on relocating Jacksonville passenger rail station back to downtown.